The charts below are guidelines for our pricing. An accurate price will be quoted when our technician inspects the damage. Using a measuring tape or ruler, measure your largest dent across the widest point of the dent. Find your dent size on the charts below to determine price estimate. Measure largest dent first as described above. Measure smaller dents and find your dent size on chart below. 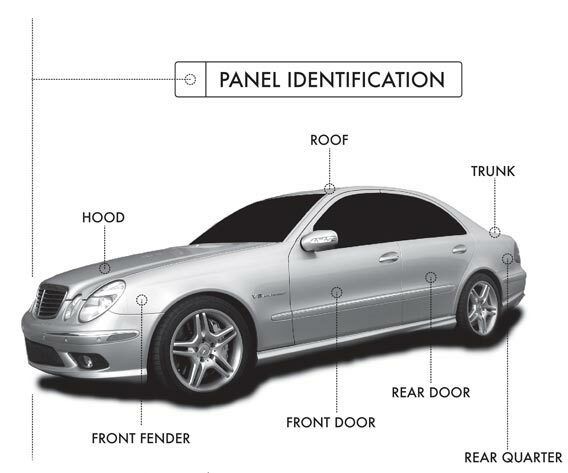 Use numbers on second row (Additional dents on same panel) and add that to the final price estimate.